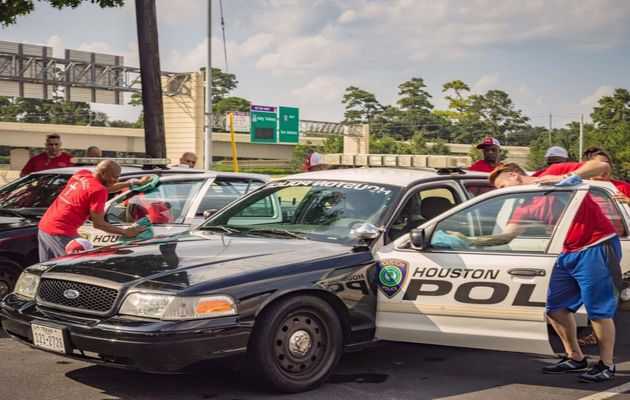 (Evangelical Focus) — Forty former prisoners grabbed water bucket, sponge and soap, and showed up on Sunday in Houston, Texas, to to clean police officers’ personal cars. It was an initiative of the C.H.A.R.M. Prison ministry (Christ’s Hope and Reconciliation Ministry), a Christian organization dedicated to current and former prison inmates. The focus of the organization is that every person in Jesus is a new creature, and a new beginning is possible even after a prison stay, as we read in 2 Corinthians 5:17-21, and Zechariah 9:11-12.